The Forge Supersize valve has been specifically designed and engineered to offer extreme flow rate capability, where only the largest valve will do. Often when engines have been tuned by installing larger turbo’s, software upgrades, and many other boost increasing modifications, improved turbo response can be achieved by fitting the Industry leading Forge Supersize valve, which has the advantage of a greater internal mass air flow specification, utilising an amazing 50mm (2”) internal bore, and an aerodynamic piston to direct the air through the large 40mm inlet and discharge ports (1 5/8”). CNC machined piston for optimal flow velocity. Solid works generation of enhanced internal piston design, allowing for optimum flow characteristics. 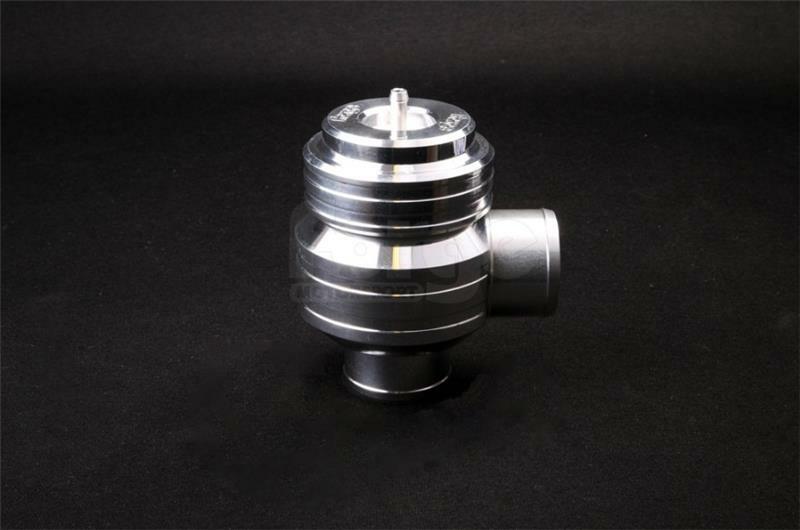 The Supersize valve utilises Viton O Rings, this material has a very high resistance to temperature and engine vapours. The Supersize valve is guaranteed for life. The highest flowing, largest displacement valve on the market. Available in machined alloy finish. Please note: Where the standard valve fitted to your car was electronic (solenoid operated) the solenoid cannot be disconnected without causing a check engine light. This valve is designed to replace existing vacuum operated valves.